The event took place at the Moore Norman Technology Center in Moore, OK. The rooms were great from a presenter and attendee perspective. For attendees, there were plenty of chairs, wifi for all, and a great lunch. For presenters, there were good projectors, plenty of power outlets, and plenty of snacks in presenter area. You know what makes me happy: BBQ! With beef and chicken BBQ everyone has a great lunch. They took care of the vegetarians, too, so everyone goes into the 1:00PM session happy. The SQL throw down was great, and my team came in second place. Power BI is something I’ve wanted to get into for a long time and this was a great starter session. The lunch session by Violin Memory was really interesting. If I could get an all flash Data center, I would probably forget about IO waits. I am glad that my session was the last of the day. After lunch, I was able to review my presentation and made sure my demos worked without a snag. My session was actually full, which is an awesome sign. As always, the attendees asked great questions and gave me more ideas for additional slides and information. I left over 10 minutes for questions and we took it to the limit, which was great! Overall, I feel my presentation went well, though I know several areas where I can tighten things up. Overall, SQL Saturday went great. 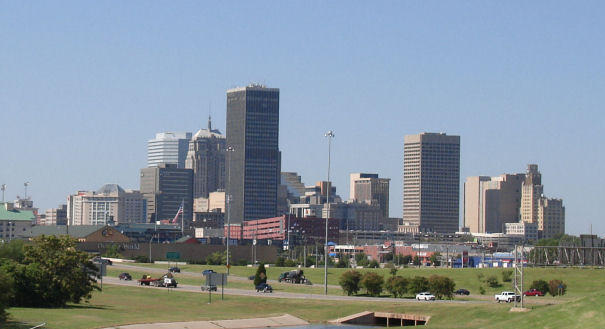 I’d be happy to make the drive back up from Austin to Oklahoma City in a year. I plan to have at least one or two new sessions by then!